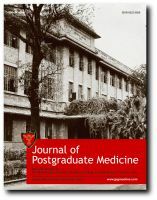 AIM: The present study was aimed to define the incidence of antiphospholipid antibodies of different types lupus anticoagulant (LAC), venereal disease research laboratory test (VDRL) and Beta2-glycoprotein I dependent anticardiolipin antibodies Beta2 I aCL) in our cohort of population experiencing recurrent pregnancy loss (RPL) from Andhra Pradesh, South India. SETTING AND DESIGN: A referral case-control study at a tertiary centre over a period of 5 years. PARTICIPANTS: 150 couples experiencing 3 or more recurrent pregnancy losses with similar number of matched controls. 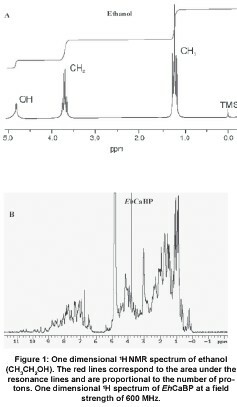 MATERIAL AND METHODS: LAC activity was measured by the activated partial thromboplastin time (aPTT) according to the method of Proctor and Rapaport with relevant modifications. VDRL analysis was performed by the kit method supplied by Ranbaxy Diagnostics Limited and Beta2 Glycoprotein I dependent anticardiolipin antibodies were estimated by ELISA kit (ORGen Tech, GmbH, Germany) with human Beta2 Glycoprotein I as co-factor. STATISTICAL ANALYSIS: Statistical analysis was performed using Student's t test. RESULTS: LAC activity was found positive in 11 women (10.28%). The mean +/- SE Beta2 I aCL concentration in the study group was 14.53 (micro/ml) +/- 1.79 (range 0 to 90.4 micro/ml) which was higher than the control group with a mean +/- SE of 7.26 (micro/ml) +/- 0.40 (range 0 to 18 u/ml). The binding of the antibodies to the antigen was observed in 40.24% (n=33) of the cases compared to 6.09% (n=5) in controls. VDRL test was positive in 7(2.34%) individuals (3 couples and 1 male partner) and none among controls. CONCLUSIONS: The present study indicates the importance of antiphospholipid antibodies in women experiencing RPL and suggests the usefulness of screening for these antibodies as a mandatory routine for instituting efficient therapeutic regimens for a successful outcome of pregnancy. BACKGROUND: Inadvertent puncture of endotracheal tube (ETT) cuff and accidental tracheal extubation are the potential life threatening complications during percutaneous dilatational tracheostomy (PDT). As an alternative to ETT, the laryngeal mask airway (LMA) has been used sporadically but no large study is available on its use. AIMS: To study the use of LMA during PDT on controlled ventilation in critically sick patients and compare its advantages and disadvantages in relation to ETT. SETTINGS AND DESIGN: This prospective, randomised, comparative study was conducted in intensive care unit of a super-speciality, tertiary care hospital. METHODS AND MATERIAL: The bedside PDT was performed in 60 critically ill patients using Ciaglia's kit. The patients received controlled ventilation of lungs either through ETT or LMA. The feasibility of the procedure and complications were compared in two groups. RESULTS: In LMA group, 33% of patients suffered with potentially catastrophic complications, e.g., loss of airway, inadequate ventilation of lungs leading to significant hypoxia, gastric distension and regurgitation. In ETT group there were 6.6% incidence of ETT impalement, 6.6% cuff puncture and 3.3% accidental tracheal extubation. Despite the technical difficulties (cuff puncture, etc.) the ETT technique was basically safe, whereas despite of the theoretical advantages the LMA technique rendered some patients at considerable risks of hypoxia and gastric regurgitation-aspiration. CONCLUSION: The LMA does not provide safe patent airway to facilitate bedside PDT in critically sick population on controlled ventilation. The ETT is safer for controlled ventilation and should be continued to secure the airway for this purpose until a better alternative is available. CONTEXT: Advances in cancer treatment have led to cure and prolongation of patients' lives; however associated psychosocial problems, including distress, can detrimentally affect patients' compliance with treatment and ultimately, their outcome. Symptom distress has been well addressed in many studies; however, psychological distress has only been quantified by using depression or anxiety scales/checklists or quality of life scales containing a distress sub scale/component or by the use of scales that are not psychological distress-specific. AIMS: The present study is an attempt to construct a psychological distress inventory for specific use with cancer patients. SETTINGS AND DESIGN: The standardisation sample consisted of 63 randomly selected patients with head and neck cancer who had undergone/ were undergoing curative treatment at the Regional Cancer Centre, Trivandrum. PATIENTS AND METHODS: The Distress Inventory for Cancer contained 57 positively and negatively toned items. An item analysis was conducted, followed by a factor analysis, thereby identifying the domains influencing distress. RESULTS: The final questionnaire contained 26 items subdivided into four domains viz. the personal, spiritual, physical, and the family domains, with each domain providing a sub score. The reliability coefficient (Cronbach's alpha) of the scale was found to be 0.85. CONCLUSIONS: These are the preliminary results of an ongoing study on global distress and tool development process. Reported here is the first step towards development of such tool. BACKGROUND: Venous access is crucial for cancer management for administration of drugs blood products, antibiotics and periodic sampling. AIMS: To review our experience of long-term venous access devices used over a ten-year period and to analyse the outcome in cancer patients in Indian setting. Setting and Design: A retrospective analysis of data in a tertiary care Regional cancer centre. PATIENTS AND METHODS: A total of 110 patients with various malignancies requiring long-term venous access were included in the study. A uniform open cut down procedure under local anaesthesia was used and silastic Hickman catheters were inserted in the cephalic or external jugular or internal jugular veins. A record of all complications and catheter loss and final out come were analysed. RESULTS: A total of 111 catheters were used in 110 patients. Sixty-nine catheters were placed in cephalic, 40 in external jugular, and 2 in internal jugular vein. Duration of catheter indwelling period ranged from 7 to 365 days with a median of 120 days. In 90% of the cases the catheter tip was located either in superior vena cava or in right atrium. Total catheter related complications were observed in 37 (34.54%) patients and catheter loss rate due to complications was 15.4% (17/111). CONCLUSIONS: Long-term venous access using Hickman catheter insertion by open cut down method is a simple, safe and reliable method for administration of chemotherapeutic agents, antibiotics and blood products. The incidence of various complications and catheter loss was acceptable and overall patient satisfaction was good. BACKGROUND: Impalpable testis is a significant diagnostic and therapeutic challenge in adults, for both radiologist and surgeons, with few reports in literature addressing this problem in adults. Laparoscopy is a reliable and definitive procedure obviating the necessity of advance investigation and subsequent inguinal exploration in adults. AIMS: To study the utility of laparoscopy as combined diagnostic and therapeutic modality for undescended testis in adults. SETTINGS AND DESIGN: Prospective study from a single surgical unit of a large tertiary referral centre during August 2000 to January 2002. METHODS AND MATERIAL: Nine patients of unilateral undescended testis with average age 22.7 years (range 13-31 years) underwent diagnostic laparoscopy and orchidectomy subsequent to detailed clinical, ultrasound and examination under anaesthesia (EUA) procedure. All patients were operated with one 10 mm umbilical camera port, one suprapubic port and 1 lateral port. RESULTS: None of the patients had palpable testis or an inguinal cough impulse on clinical examination and during EUA. In only 3(33.3%) patients, the ultrasound could locate the testis situated at the deep ring. On laparoscopy all testes were identified, 4 were present at the deep ring, 3 were intra-abdominal and 2 had blind ending vas entering the deep ring. Mesh plug was inserted in the internal ring in these 2 patients, after dissecting the peritoneum. None of the patients had intra or post-operative complications and all were discharged on the next day. CONCLUSION: Laparoscopy is one of the most satisfactory methods for the diagnosis and management of non-palpable testis in adult cryptorchid patients. BACKGROUND: Difference of opinion about the prevalence of H. pylori association with gastric cancer exists in the literature. AIMS: To study the correlation of Helicobacter pylori (H. pylori) to gastric carcinoma. METHODS: 50 proved cases of gastric cancer were studied by rapid urease test, culture, histopathology and ELISA test for H. pylori IgG. RESULTS: 68% of cases of gastric cancer were found to be positive for H. pylori infection as compared to 74% of healthy controls. CONCLUSIONS: The prevalence rate of H. pylori infection in our patients of gastric cancer was lower than in the control population though statistically not significant, suggesting that H. pylori may not be responsible for gastric carcinogenesis in this population. 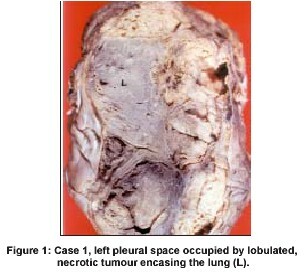 Lungs and pleura are rare sites for malignant germ-cell tumours. Two cases, pure yolk-sac tumour and yolk sac-sac tumour/embryonal carcinoma are described in young males who presented with rapid progression of respiratory symptoms. The malignant mixed germ cell tumour occurred in the right lung, while the yolk-sac tumour had a pseudomesotheliomatous growth pattern suggesting a pleural origin. Alpha-foetoprotein was immunohistochemically demonstrated in both. 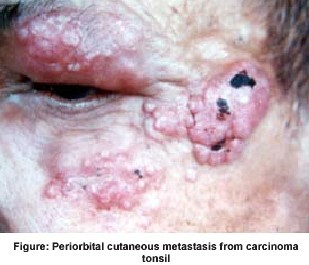 Hematogenous spread from carcinoma of tonsil is an uncommon event and skin is an extremely rare site of metastasis. 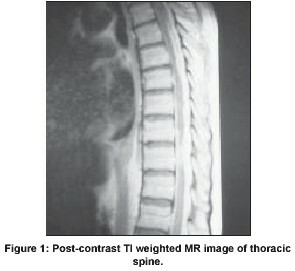 We encountered a 40-year-old male patient who initially presented with carcinoma of the tonsil with T3N2cMO disease and treated by curative radiotherapy. 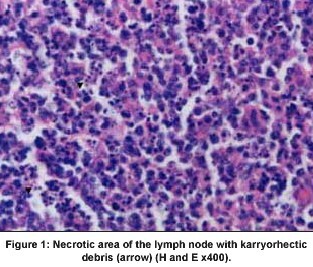 After about 2 years, he developed a skin lesion in the periorbital region which on cytological examination turned out to be metastasis from tonsillar carcinoma. 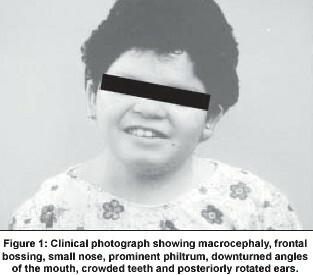 The present paper describes this rare case report along with a brief review of the literature. Appropriate ventilatory intervention is life saving in acute respiratory distress syndrome (ARDS). Pressure controlled inverse ratio ventilation (PC-IRV) is the likely mode of ventilation benefiting in extreme conditions of ARDS. However, guidelines when to start PC-IRV is not yet well defined. The ventilation-related dilemma, which we faced in two illustrative cases of ARDS are presented. The first patient presenting clinically with ARDS but with high peak airway pressure (PIP) and low dynamic lung compliance, PC-IRV helped in reducing PIP, improved haemodynamics and the oxygenation of blood. In second patient with similar clinical presentation of ARDS, where although PIP was high but the dynamic compliance was better, the PC-IRV caused deterioration in PaO2. Here, patient rather did better with high PEEP (15 cm H2O) and usual I: E ratio (1:2). It is probable that the dynamic lung compliance (< 20ml/cmH2O), PIP (> 50 cm H2O) at conventional I: E ratio (1:2) ventilation (10 ml/kg) with hypotension might form the basis to develop a scoring system for guidance to switch over to PC-IRV ventilation. Further randomised prospective controlled clinical trials will then be required to establish indication to start PC-IRV in ARDS. Primary acquired pure red cell aplasia is a rare occurrence in childhood. An eleven-year old boy presented to us with pallor, which required multiple packed red cell transfusions. He did not have hepatosplenomegaly, jaundice or lymphadenopathy. Bone marrow examination revealed the diagnosis of pure red cell aplasia. All possible investigations were done to exclude secondary causes of pure red cell aplasia. No secondary cause was found on investigations. Rheumatoid factor and anti-nuclear antibodies were positive. He was started on oral steroids, to which he did not respond. He was then given cyclosporine A. Response to cyclosporine was dramatic and the child now does not require any transfusions. Pancreatic transplantation is becoming increasingly accepted as a treatment modality for Type 1 diabetes mellitus. When allograft dysfunction is noted during follow up of patients, a biopsy is an extremely useful tool to diagnose various forms of rejection, and to rule out non-immunologic causes of graft malfunction, such as donor disease, ischaemic/preservation injury, vascular thrombosis, pancreatitis, post-transplant lymphoproliferative disease, technical complications and recurrence of diabetes mellitus. In addition to its role in establishing the primary diagnosis, a biopsy can grade the severity of pathology present, help determine the most appropriate therapy, and provide information relevant to graft prognosis. Postoperative acute renal failure (PO-ARF) is a serious complication resulting in a prolonged stay and high mortality. Patients may be at risk for this problem because of an underlying medical illness, nature of surgery, nephrotoxin exposure, or combinations of these factors. An increase in the intra abdominal pressure above 20-mm Hg is associated with an increase in the incidence of PO-ARF. Based on many clinical studies in high-risk surgical patients and patients undergoing renal transplantation, the only proven management strategies for prevention of PO-ARF are adequate volume expansion and avoidance of hypovolaemia. Drugs known to be nephrotoxic should be avoided or used with caution. Three main pharmacological agents namely mannitol, frusemide and dopamine have been extensively tried in the prevention of PO-ARF. Mannitol has proven of value only in the presence of adequate volume expansion in attenuating renal dysfunction in transplant patients. Frusemide converts oliguric renal failure to non-oliguric renal failure. The bulk of the data, including that from prospective studies indicate dopamine is only a diuretic. Fenoldopam, a dopamine analogue, has shown early promise in reports. Calcium channel blockers have not been shown to improve the outcome in renal transplantation or help in the prevention of contrast-induced nephropathy. Atrial natriuretic peptide has not been proven to be of benefit in established renal failure and its role in prevention has not been assessed.